Kennedy, Edward M. [Ted]; Preface by George F. Kennan. First edition of Senator Kennedy’s first book. Octavo, original cloth. Preface by George F. Kennan. 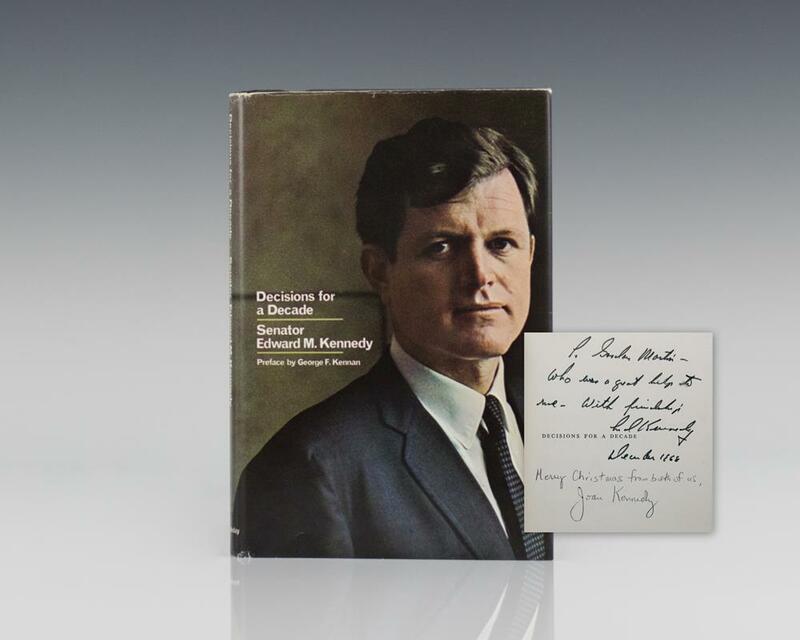 Warmly inscribed in the year of publication by the author, “To ______ ______- who was a great help to me- with friendship Ted Kennedy December 1968.” Also inscribed by Joan Kennedy. Fine in a near fine jacket with the light of wear to the extremities. Senator Edward Kennedy was born into “one of the most storied families in American politics, a man who knew acclaim and tragedy in near-equal measure and who will be remembered as one of the most effective lawmakers in the history of the Senate” (New York Times).